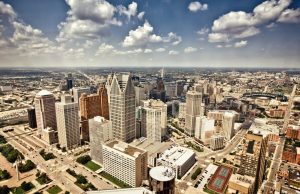 Waymo, Google’s self-driving vehicle arm, is looking for a built factory in Detroit to outfit cars with its autonomous technology, giving Motor City a major role in future transportation. The company received an $8 million grant from the state of Michigan to locate there, and says the factory will be the first one in the world dedicated to mass production of AVs. Waymo is looking for a factory of up to 200,000 square feet in the Detroit area, and says it will be used to install AV technology in Chryslers and eventually Jaguars. The grant mandates it must be up and running by the end of 2021 and employ at least 100 people.